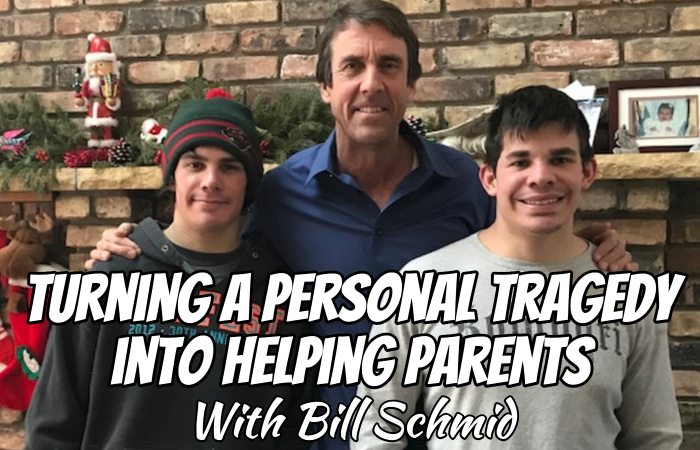 In this episode, we continue our Father of Twins Interview Series with Bill Schmid, father of twin boys and founder of HALO, a company specializing in products to help your children sleep safely and well. HALO has sponsored this podcast, however, I am sharing my own thoughts. All opinions are my own. 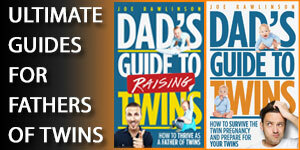 Joe: Hi there, and welcome to the 161st episode of the Dad’s Guide to Twins Podcast. This is Joe Rawlinson. As always you can find me on the web at twindadpodcast.com, where you find the complete transcript and show notes for this podcast episode and all previous podcast episodes. 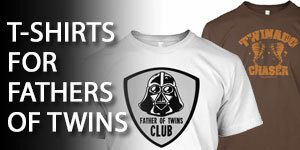 Today we are continuing our Father of Twins interview series with Bill Schmid, who’s also the founder of HALO, an amazing company with several products to help your twins stay safe as they are sleeping, including the SleepSack, and the Bassinest Twin Sleeper, which we’ll talk about in a little bit with Bill. 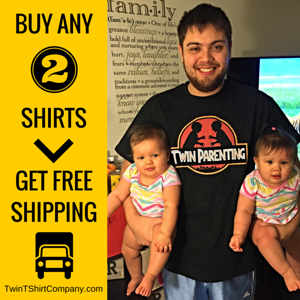 But if you stay tuned to the very end of this episode, you’ll have a chance to win your very own Bassinest Twin Sleeper for your twins in your family. Let’s jump right into the interview with Bill. How old are your boys right now? What’s the best part of this stage of life? Bill: They’re 25. I don’t know if it’d be wrong to say that the fact that they’re out of the house, but they’re both pursuing diverse interests, and it’s fun to see them on their journey. You worry as a father, of course, that they’re going to find their way, they’re looking now, and for identical twins, they’re very different. I think they’re actually mirror image twins, quite different in terms of personality and interests. Joe: I think we have mirror image twins as well. What indications that that was the case for you and your boys? Bill: Left hand, right hand, opposite cowlicks, and interests that probably favor left brain, right brain. That’s kind of how we came to that conclusion. Joe: If you look back over 25 years ago, what was your family situation like when you found out that you were expecting twins? Bill: We’d lost our first born, our daughter, Haley, about a little over year before we learned that we were going to have twins. We were nervous, there’d been a miscarriage in-between, my wife and I were both working full-time, she’s a hospital pharmacist. It was a time of great hope, but also nervousness about what would happen. Then, with twins, it was like a wow, this is more than we expected, but thankful that we were going to be given two boys, as it turned out. Joe: Did you know before they were born that they were be boys? Or was that a surprise? Bill: No, we found out, and kind of wanted to know as much as we could going into it. My wife was in her mid 30s, not that old, really, but at an age where we wanted to have as much information as we had going into the birth, that everything was going to be okay. Joe: Once they arrived, what surprised you the most about having twins? Bill: I don’t think you can ever be prepared for how much work it is, it’s double of everything, or course, I marvel at people that somehow have triplets and quads and more, I don’t know how they do it, but I think it was just the anxiety levels ratcheting up and obviously the sleeplessness was increased, and so those first few years, as all twin parents may attest to, are kind of a blur. I guess the biggest surprise really was just how difficult it is, it’s hard enough having one, but when you multiply that times two. Joe: Yeah, it is a lot of work, that’s for sure. Bill: But very rewarding, like a lot. It’s a unique experience, that’s for sure. Joe: That it is. How were you and your family able to help recognize individuality on each of your boys, and help encourage that in them? Bill: I don’t think we necessarily did that actively. It eventually going to happen again given their diverse interest. They tended to gravitate, two parents, in our case, and two kids, we didn’t have any other children yet at the time. When one was with one parent, the other one naturally would go to the other parent, that sorted itself out, I guess, in that as they grew up, one tended to be closer as opposed to my wife, Cathy, and the other to me. That maybe sort of aligned itself up with what their eventual interests were with one being very competitive, and interested in sports, and that one being more attracted to myself, I guess. Then, the other one, I should say, their names are Scott and Sandy. Sandy maybe is more artistic and interested in things that aren’t necessarily sports related. I think they just kind of sought out their own interests. We didn’t … We dressed them similarly up as you do for probably longer than we should, and kept them in similar activities maybe longer than we should just for the sanity, sake of not having to go in different directions all the time. Joe: Now that they’re older, do they still gravitate one to you, one to your wife? Or has that kind of average out? Bill: I think that’s still true to a certain extent. Those kind of, I don’t know if you’d say, preferences, my wife and I are close to both boys, but yeah, I think, again based kind of on their current interests, that’s kind of how they’re matched up, I suppose. Joe: When you look back over some of the milestones that they hit over the years, what were some of those that made it easier for you as a father? Bill: Hitting one year, of course, is kind of a milestone in terms of relief that they made it through the months where they’re at greatest risk for SIDS or Sudden Unexpected Infant Death. Potty training was a big one that came a little later, as it oftentimes does with twins. I think getting their driver’s license, that was a big deal too, because they were both in a lot of activities in high school, but made life a little bit easier for us. Joe: Driving, did they end up sharing a car or they each have their own? Bill: They shared for a while until one of them totaled it. The other one evened up that score a few years later when he totaled his brother’s car, but fortunately, nobody hurt in either case. In high school, they shared a car, then after high school ended up having their own. Bill: That’s kind of the yin and the yang, it gives you so much more freedom, but the worries that come with that is the case with a lot of things, of course. Joe: That’s right. Now that your boys are older, they’ve got out of the house, it’s that the point where they started to have their own individual identity in the eyes of other people? Are they still kind of grouped together as the twins? Bill: I think in high school they really started to form their own identities, and friendships, and things like that, separate. I hear about twins being so close, our boys aren’t yet, I think they started to go kind of their separate ways in high school, then in college. I suppose there’s a closeness there, but it isn’t like a lot of what I hear other twins experiencing or having. I think to people outside our family, they’re probably still lumped together as twins, and probably always will be as the twins. They’re so different in terms of their interests and pursuits that I think that helps separate them in people’s minds, for sure. Joe: Did they go off to different universities? Bill: They started out at North Dakota State together, same dorm room, again for selfish reasons in our part. Sandy is graduating this year as a History major, and his brother Scott dropped out after a year and a half of school, college just wasn’t for him and he’s trying to become a cowboy and ranch hand out in Montana, pursuing that for a few years now. Again, pretty different interests and paths that they’ve chosen. Joe: Yeah, that kind of highlights what you had mentioned earlier about the very unique interests and differences. Bill: The whole nature/nurture thing is interesting to me. I don’t know what to make of it. In theory, their DNA is the same, the same house, obviously a little bit different in terms of the closeness to one parent or the other, but it’s really an interesting adventure, that’s for sure. Joe: You mentioned earlier that you had tragically lost your first daughter, Haley, to SIDS, how did that lead to you forming the company that you have now? Bill: I’m an engineer by training, and we need to fix things, I guess, if there was anything that I could do to prevent other parents from having to go through what we went through I was going to try and do that. The first product, actually, that I made, or invented I guess was an active airflow crib mattress, it actually had a small amount of air that was delivered through the sleep surface. Haley died on her stomach, even though she was a back sleeper, just before the back to sleep campaign was kicked off in 1994, but she was a natural back sleeper, and unfortunately, a relative put her on her stomach when she was being baby-sat and she died. I guess, that’s something I should point out, I mean, with twins, even with a single child, you kind of do whatever you need to do to get through the day and night. We had brought the boys into bed, occasionally, to get them to go to sleep, but we did always put them to bed in their own cribs, and try to have them sleep there as much as possible, just really important. We, I think more than anyone, understood the importance of putting them to sleep on their backs, because of our experience with our daughter, and then also the back sleep campaign having kicked off about the time they were born. But we, after two weeks, didn’t realize, I mean, after two weeks of no sleep, them sleeping on their backs, we ended up putting them on their stomachs, and that was a risky choice, especially with the understanding that babies who sleep on their backs, normally when you put them on their stomachs, they have a much greater risk of SIDS. We didn’t know that at the time, that’s come out since, but we made a choice because we weren’t getting any sleep, and this was actually before swaddling too, before we knew anything about swaddling. Today I think we’d fare much better if we put them on their backs, and swaddle them. At the time, we made choices that we had to make just to survive in our minds. It’s really difficult being a parent of a single child, and when you’re faced with two, and the challenges of sleep, and everything associated with that, it’s one of those things where you just make the best decision you can and pray that they’ll be all right. That was what led me ultimately to design this crib mattress that had the ventilated sleep surface. The fact, we knew they should sleep on their backs, but they refused to when we put them on their stomach. That was the genesis for that particular product, which didn’t last, didn’t make it in the marketplace, but eventually led to us inventing the swaddle, the SleepSack Swaddle, and that’s kind of where the company went for the next couple of decades. Joe: Based on your experience and the research that’s come out, what are some of the best ways to keep babies safe while they’re sleeping? Bill: Putting them on their back, number one. That’s got the highest risk reduction component to it. Not sleeping with them, at least not for the whole night, so not sleeping with them on a couch, that’s very dangerous, but even in bed, we need our sleep space, and getting them to sleep on their back, in their own space, but in your room, not your bed, but in your room, that’s been shown to be highly protective. I would say those are the main things alone, baby ABCs is kind of how they describe, alone, on your back, and in your own crib or sleep space, bassinet, whatever might be. Joe: You spoke to the reality that we face as parents where we’re just struggling to make a day-to-day especially when they’re very little, and trying to do whatever we can to get them to sleep. What are some other things that parents typically overlook, or maybe they cheat on that could be a danger for the babies? Bill: Putting them on their stomach, for starters, they may sleep a little better on their stomach, but very dangerous, especially if they’re swaddled, you just never put them on their stomach regardless. Bringing them into bed, that’s tempting, especially if mom’s nursing, makes it much easier to nurse. Again, I know there’s two schools of thought on this, but the research really shows that that’s very risky, especially if you’re overly tired, and what parent of twins isn’t overly tired? I would say those are the two big things. I think sleep surface gets overlooked sometimes, firm, flat, sleep surfaces, or mattress, or pad, with a type fitting sheet is what’s recommended, but it doesn’t feel very comfortable, even though the babies probably don’t mind it at all. Putting anything soft under your baby is risky, especially when they start rolling if they would roll to their stomach. Those are the things that are most easily overlooked or just discarded because you got to get some sleep. Joe: That’s right, it is a balancing act trying to keep baby safe and helping them sleep, helping you sleep, that’s why I’m intrigued by several of the products that your company, HALO, is offering because it does make life a little bit easier for parents. Bill: That was the goal. Not only for safety but to make parenting a little bit easier. Joe: Your company, HALO, recently launched the new HALO Bassinest Twin Sleeper, what was the inspiration behind that product? Bill: Clearly, my own experience, and my wife’s experience too. We, bless her soul, she breastfed the twins to about 14 months, I know that’s not always possible, and that in and of itself is a struggle for a lot of moms, a lot of guilt when they can’t breastfeed as long as they want, but she was fortunate and able to do that. We had them, the boys, in their own cribs, but I was the one getting up and bringing them over to her to feed during the night, and sometimes she would be doing one, and then the other, or sometimes both at once. The Bassinest that we made for a single baby, has just been so profoundly well accepted by parents for a number of reasons, the safety, the convenience. I thought we should make something for multiples, twins is as far as we’ve gone so far, I’m not sure we can go any further than that, but obviously, the experience of having twins is doubly difficult. Anything that encourage, that’s safe, proximate sleep surface as well as the convenience to maybe make breastfeeding a little easier, or diaper changing, just the whole sleep experience. Maybe make that a little bit easier for mom and dad. 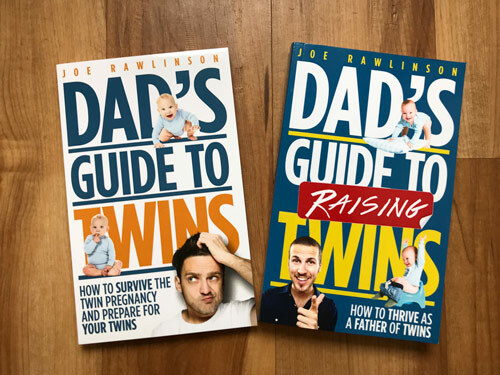 Joe: As parents of twins we have a lot of the same challenges as parents of a singleton. 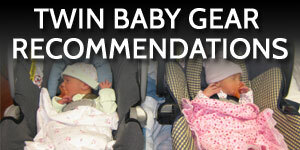 But having the extra baby gear like you Bassinest Twin Sleeper it even easier. Putting two babies, like you said, is the recommendation, in your master bedroom with you. Oftentimes the footprint doesn’t really enable that to happen, but having a tool like this it’s pretty clever way to help that problem. 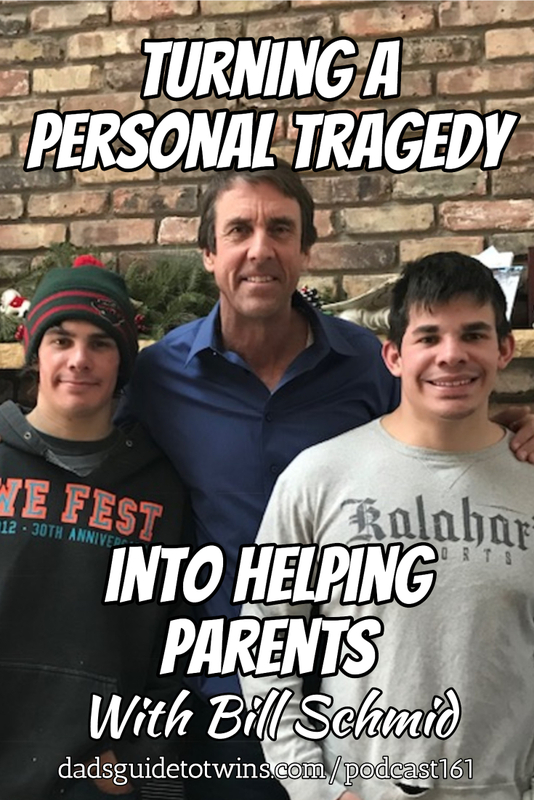 Bill, we appreciate you sharing your twin story with us today, if listeners want to connect with you or your company, where should they go? Bill: The website is www.halosleep.com, they could email [email protected], that’ll come to me, I’d be happy to answer any questions that anybody has. It’s been a pleasure talking to another twin dad, and I hope what we’ve discussed helps in some small way with all of your listeners. Joe: Absolutely. I know for me, it gives me some hope looking ahead, to the years ahead, where my twins will grow, and mature, and turn into active adults. Thanks for giving us a sneak peek of that. Bill: Grows fast. Enjoy it while you can. 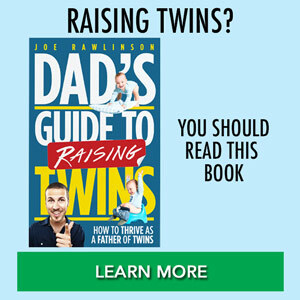 Joe: I hope you enjoyed that chat with Bill Schmid founder of HALO and father of twin boys about his twin journey and some of his techniques you can use to keep your baby safe while they are sleeping. Bill mentioned the newest product from HALO, the Bassinest Twin Sleeper, which is perfect to keep your babies close to you at night and safe as they sleep. Thank you so much for listening to the show today, I really appreciate it. I hope you have a wonderful day, and we’ll see you next time.